Nick Cafardo was interviewed at Fenway Park in 2011. FORT MYERS, Fla. — Nick Cafardo worked in a profession peppered with competitive souls, jealousy, and millionaire athletes accustomed to being praised unconditionally. One of the best baseball writers of his generation, Nick managed to cover the sport without generating any hard feelings. Everybody liked Nick. The man had no enemies. For a baseball writer in 2019, that’s impossible. We lost Nick Thursday at spring training. He was on the job, as usual. Around noon, standing by the work area outside the Red Sox clubhouse where the clubbies clean cleats, Nick collapsed and hit his head on the cement. He was attended to by Red Sox medical personnel, who are in town to conduct routine player physicals, then transported to Gulf Coast Medical Center via ambulance, with Globe photographer Stan Grossfeld at his side. Once Nick got to the hospital, doctors could not keep his great heart going. 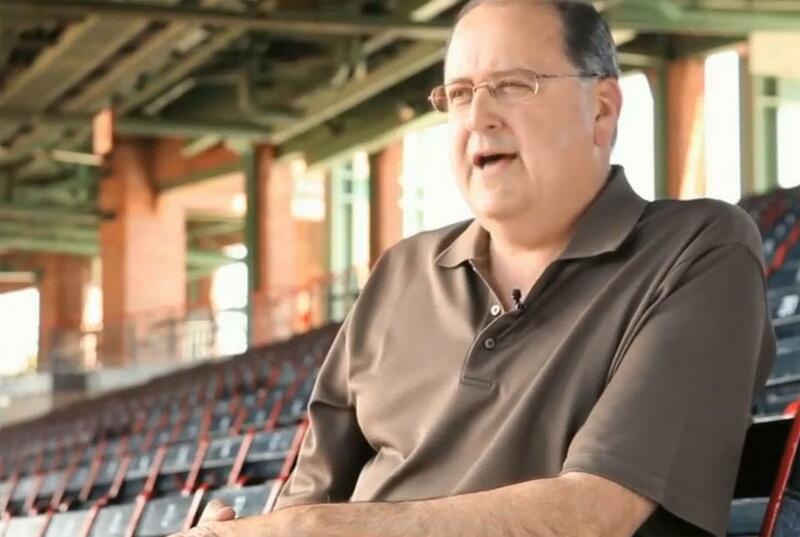 Cafardo, who joined the Globe in 1989, was one of Boston’s most prominent sports reporters. They will always go together. Nick was the ultimate beat guy, the ultimate baseball guy. Major League Baseball is all about showing up every day for the full 162 games. And that’s what Nick did. 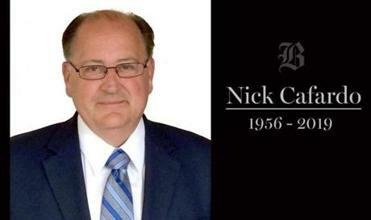 Nick came to us from the Quincy Patriot Ledger 30 years ago. He was a worthy addition to a long line of Globe baseball reporters who delivered the Sunday notes column that was founded by Peter Gammons in the early 1970s. Nick made a brief foray into football, covering the Patriots in the 1990s, but baseball was his true love. “He may have been the best national baseball writer in the country at this moment,’’ said New York Daily News writer and J.G. Taylor Spink Award winner Bill Madden. Nick knew all the players, all the managers, and all the scouts. He looked forward to annual summer visits to Cooperstown, N.Y., where he would stay in a house with other national baseball reporters. Nick said the house was so close to Doubleday Field that he could cover the weekend Hall of Fame induction ceremonies from his porch. Nick was a member of the Whitman-Hanson High School Hall of Fame. He was eager to show photos of his grandchildren and was especially proud of his Italian heritage. He loved spring training and was always talking about buying a place in Florida. He was old school. He pushed back hard against analytics. He never brought attention to himself, but when the Boston Baseball Writers presented him with the Dave O’Hara Award a couple of years ago, Nick delivered a hilarious yet understated acceptance speech. We didn’t know he had it in him. “I never saw the man in a panic,’’ remembered Grossfeld. “Not on deadline. He was smooth and steady and had a million contacts, all of whom probably smiled when he called them. And a great newspaper teammate. Nick and I spoke a lot this week. He had everybody’s phone number, and he connected me with Tony La Russa when I told him I was looking for the Hall of Fame manager. We talked about our annual Globe baseball preview section, and Nick was excited about getting Freddie Lynn to fly to Florida for a photo shoot. What else can we tell you about the man? We teased him because he never had cash. He was forever borrowing your phone charger. He didn’t wear shorts in Florida because he thought he had chicken legs. Nick thought the NHL was going to hell and blamed it on players wearing helmets (we thought he simply missed the Esposito brothers). Oh, and Nick pledged to never eat chicken again after big league outfielder Ivan Calderon took him to a cockfight in Puerto Rico. Just like the writer. Nick Cafardo. Dan Shaughnessy can be reached at dshaughnessy@globe.com. Follow him on Twitter @Dan_Shaughnessy.